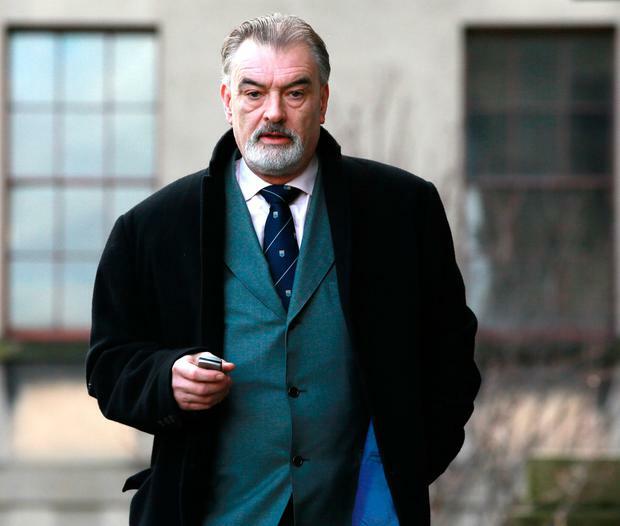 British journalist Ian Bailey has claimed DNA was found at the murder scene of Sophie Toscan du Plantier which did not belong to either him or the French film executive. Mr Bailey (60) made the startling claim as he revealed he had to learn about the so-called "alien DNA" from the case file prepared by a French magistrate against him for a Paris-based murder prosecution. That Paris trial is now expected to take place either later this year or in early 2019. Mr Bailey said he had volunteered various samples to gardaí at the time - confident they would fully underline his innocence to the authorities. These even included hair samples. "My hope - or my prayer, if you will - is that the identity of the real murderer is revealed," he told 96FM. Mr Bailey said he does not have any idea who murdered Ms Toscan du Plantier near her west Cork home on December 23, 1996. "There are various stories doing the rounds that I won't get into," he added. But he said he was startled by one element of the French investigation file. "I received the entire French prosecution file and I went through it. Quite clearly the prosecution is based on statements that are false or have been withdrawn." He said he was taken aback reading, for the first time, the crime scene forensic report. "I got all of the forensic details. There were over 100 different blood samples collected at the scene. The vast majority of those were from Ms du Plantier." "[But] there was, apparently, according to the file what was known as alien DNA - not her DNA. "Quite clearly that did not match my DNA because I had given samples and they could check it against it." Mr Bailey said he was astounded by the revelation - and the fact the French were also relying so heavily on material already discredited in Ireland. He had repeatedly warned that the French would attempt to try to convict him in absentia for the brutal killing, having successfully fought an extradition bid by the French six years ago. Ms du Plantier was found battered to death on a laneway leading to her isolated holiday home at Toormore outside Schull on December 23, 1996. No one was ever charged with her killing in Ireland. A French-based investigation was launched 10 years ago when the Irish authorities admitted it was highly unlikely anyone would ever be charged here with the crime. Mr Bailey confirmed he is now to take a European Court of Human Rights challenge to the French-based prosecution which, he said, was aimed at wrongly convicting an innocent man. Ms du Plantier's death sparked one of the biggest Garda murder investigations in history, including multiple case file reviews. Mr Bailey, who moved to Ireland in 1991, was twice arrested by gardaí for questioning. He was released without charge on both occasions in 1997 and 1998. Since then, Mr Bailey has insisted that "sinister attempts" were made to frame him for the crime. The French failed in a 2012 bid to have Mr Bailey extradited with the Irish Supreme Court rejecting the application. A fresh European Arrest Warrant (EAW) was issued two years ago, but has never been triggered. Mr Bailey's Irish solicitor, Frank Buttimer, said it was "farcical" what was happening in Paris. He pointed out that the French authorities intend pursuing the prosecution despite the fact they are believed to have precisely the same information which the late Director of Public Prosecutions (DPP) in Ireland, Eamon Barnes, rejected as grounds for any prosecution here. Mr Buttimer described such evidence as "totally discredited". "It will effectively be a show trial, if it ever happens," he said. "The evidence on which I believe it [the prosecution] intends to rely is no more than the evidence which was rejected 20 years ago by the late Mr Barnes." French authorities launched an investigation under Paris-based magistrate Patrick Gachon into Ms du Plantier's death 10 years ago when the Irish authorities confirmed there was little prospect of a prosecution here. The French are confident that the majority of 40 Irish witnesses, the bulk of whom were interviewed as part of the original Garda murder probe, will agree to travel to Paris for the planned trial. However, they cannot be compelled to attend. Under France's Napoleonic Code, Mr Bailey can be tried in absentia. The only requirement for such a homicide trial to be staged is that the deceased involved was a French national - it does not matter under French law where the alleged incident occurred. Furthermore, French law allows for sworn witness statements to be entered into evidence even if the witness is not present in court. A French judge is also allowed to permit sworn statements from witnesses who are now deceased. Several of those interviewed in west Cork as part of the original Garda murder investigation have since died. If Irish witnesses decline to travel to Paris for the hearing, their statements can still be offered in evidence. The French received special permission from Ireland to allow an elite team of Paris detectives to visit west Cork and re-interview the original Garda murder file witnesses. Those interviews were also video-recorded. Full access was also given by Ireland to the forensic data obtained by gardaí in west Cork. The French investigation involved the exhumation of Sophie's body, a battery of fresh forensic tests and re-interviewing all the original Garda witnesses. Sophie's killing now ranks as arguably Ireland's highest profile unsolved murder. Sophie's son, Pierre-Louis Bauday Vignaud, has paid tribute to the French authorities for their commitment to the investigation. He vowed that his family will never cease their campaign for justice for Sophie. "It [the prosecution] is very good news - it is news that we have waited a long time for. It is news that we have waited more than 20 years for." For almost two decades, Sophie's elderly parents, Georges and Marguerite Bouniol, travelled every year to west Cork to attend a Mass for their daughter. Every year they appealed for public help to track down her killer. They admitted their biggest fear was they would not live to see someone held accountable for Sophie's brutal death.